This morning, after days of neglecting my duty as family blogger, I awoke with Christmas carols in my head. “Awaaaay in a manger no crib for a bed . .. ” I sang away until my brother realized his ridiculing me was quite futile in that I simply sang louder to drown out his criticism. Anyway, props to singing Christmas carols in the middle of Spring, commencing of Summer. 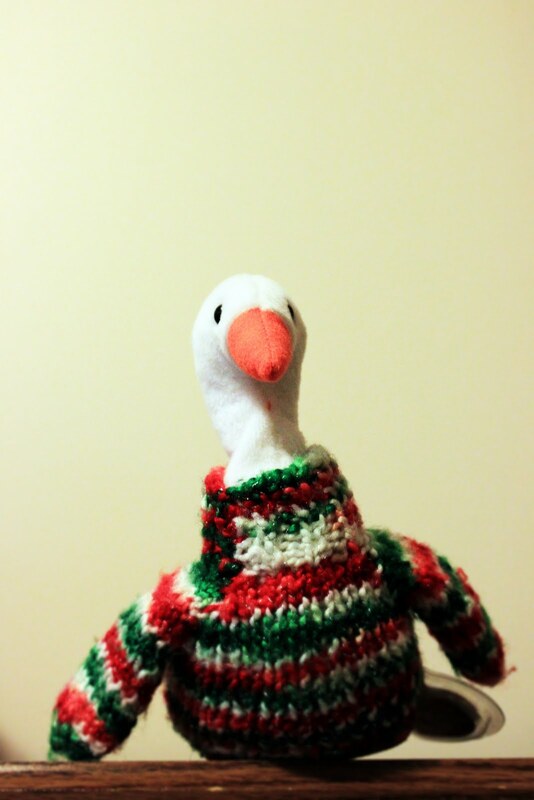 And picture of Mas the Swan who keeps me company with his Christmas sweater year round. Reminding me sometimes it’s ok to do the weird, and that we never know when Christ really was born. So everyday should be special, every day should be a day to be infected with “Christmas Spirit” to do good. Everyday we should praise God and thank Him for His life-saving Gift. P.S. 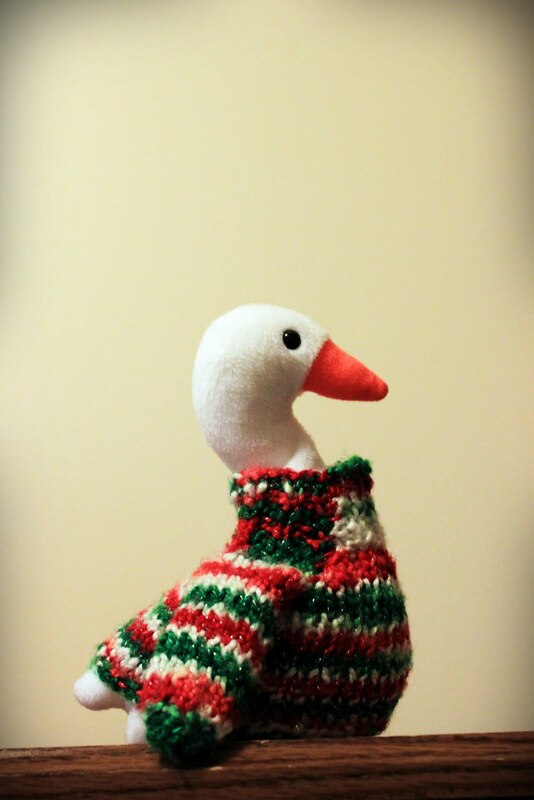 According to Ty, (the beanie babies stuffies company) Mas’s name was originally Gracie (also meaning he was a she.) but in typical Larissa fashion I have changed his name to Mas. Just thought you should know.